Accommodates most styles of folding tables up to 8 feet long. Steel construction in durable powder coat finish. 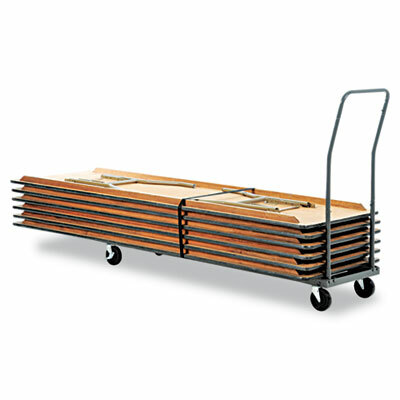 Accommodates most styles of folding tables up to 8 feet long. Steel construction in durable powder coat finish. Holds up to 1,000 lbs. Includes safety strap. Heavy-duty 5" casters. For Use With For use with all Alera® Folding Tables.